Kids will have fun while practicing their counting skills. 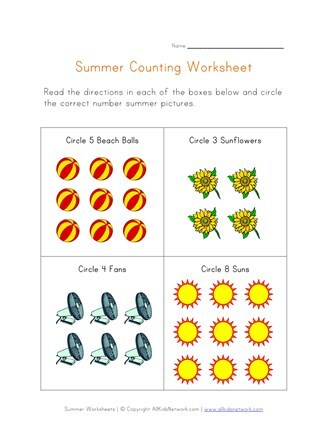 Have kids recognize the number in each box and then circle the correct number of summer pictures in each box. 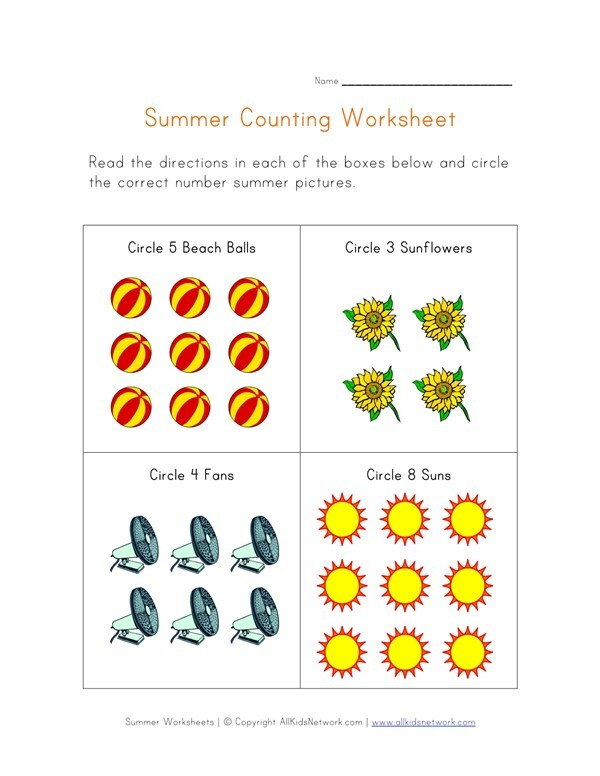 Print this worksheet out with the rest of our summer worksheets to do with your kids!